We are having our first every DoC lunch event, and our first ever DoC member Show and Tell. 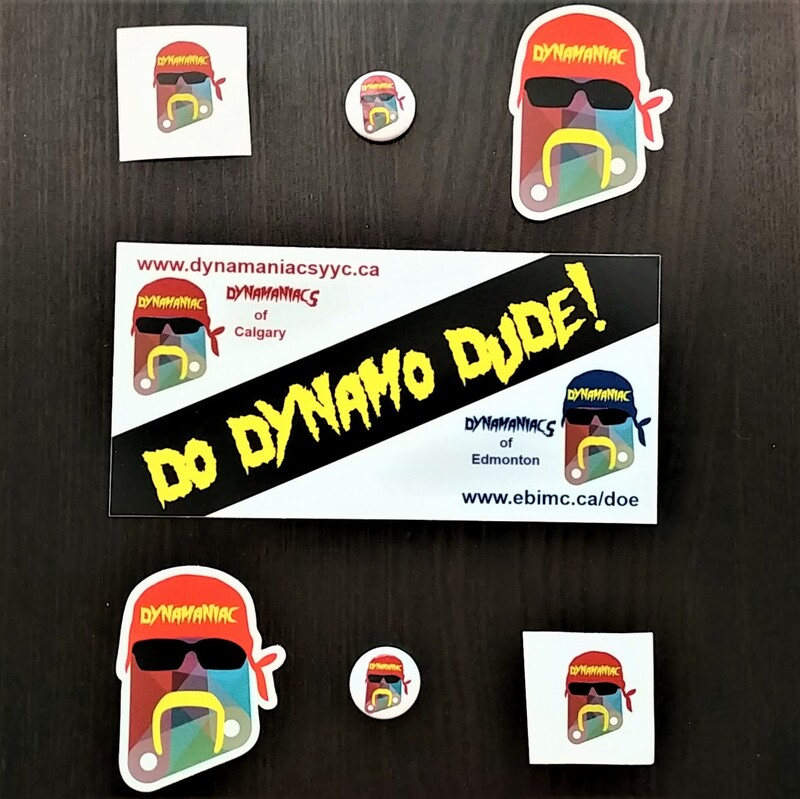 If you are going to be in Calgary over lunch on May 15th and would to share some of your Dynamo content, workflows or tips and tricks, then sign up for this free event and share with the community! If you just want to learn about Dynamo, then you too should signup for this free event and networking opportunity. Registration details at the bottom of the post, all the event details are below. Wednesday, May 15th, 2019 – Special Lunch Edition! For the first time ever we will be holding our next DoC event during lunch. Come join us over lunch, grab a bite to eat and learn what the release of Dynamo 2.1 means. We will also be doing a DoC member “Show and Tell” so if you have a great Dynamo graph, workflow, project, or tips and tricks to share with the group come on out! learn about what the release of Dynamo 2.1, along with Revit & Civil 3D 2020, FormIt Pro V17, and the new standalone Dynamo Sandbox means for your Dynamo graphs and workflows going forward. We are looking for people to do a little Show and Tell of their latest Dynamo projects, workflows, graphs, favourite packages or just some good old tips and tricks. We are only looking for 5 or 10 minutes from each “Show and Teller”, and no fancy powerpoint or presentation required (but welcomed if you wish). There will also be a short session to kick off the meeting about Dynamo 2.1 so you don’t have to worry about going first. So if you would like to share during the Show and Tell just register for the event below and check “Yes” in the box asking if you want to share, optionally you can also share your topic if you wish. There is also a “Maybe?” option just in case you’re not sure and want to make it a game-time decision. We will have some sweet DoC swag for those that attend: Stickers, Buttons, and Bumper Stickers. The presentation PDF and datasets will be available after the event via this website. If you are in the Calgary area on Wednesday, Feb. 27th stop by and check out the free cBIMc meeting from 6:00 pm – 8:00 pm. What are the DISRUPTIVE technologies (BIM, IoT, AI, etc.) that you and/or your company will/are facing now and in the coming years? How will this change the way we work? Are you prepared? Join us as we explore these potential DISRUPTORS through short presentations – followed by a panel discussion (comprised of cBIMc members and our local re-Sellers). This Workshop format event will examine the current trends, as witnessed by the re-Sellers (via their customers), along with anticipated emerging trends. Also, keep a watch out information on the next DoC event coming in March 2019. This, the fourth DoC event, and the first of the 2018 – 2019 season will be a remote presentation by Zach Kron from Autodesk & a live lab by Carl Storms from IMAGINiT. So far 2018 has been a blur, so much going on with everyone in the DoC Community that we weren’t able to get an event in for the first half of 2018. Now that summer is just around the corner things should begin to slow down enough to allow planning to take place for an event or two in the fall of 2018. Dynamo lab to help those new to the software learn how to deal with the “data” they need to get in and out of their Revit models. Presented by Carl Storms from the BIMsider blog, based on Labs he has given for BILT ANZ 2018 and Data Day 2018. Dynamo For Busy People – How to learn Dynamo by using and reviewing a new practical script every couple of days. Presented (remotely) by Michael Kilkelly of ArchSmarted based on his hit Dynamo course Dynamo For Busy People. Keep an eye on your inbox, and this blog for updates on these events and more news from DoC coming later this summer. This, the third DoC event, and the first of the 2017- 2018 season will be a live presentation by Eddy Bussiere from SMP Engineering & Carl Storms from IMAGINiT, both will be supporting one side of the “Code vs. Node” debate. Eddy will be presenting the “Code” side of the debate talking about using C# code to make macros for Revit, that will help automate or otherwise improve your Revit workflow. Carl will be speaking on behave of the “Node” side of the debate showing how Dynamo can also be used, without the need for coding, to help automate or otherwise improve your Revit workflow. This is will be a grudge match for the ages that you will not want to miss! 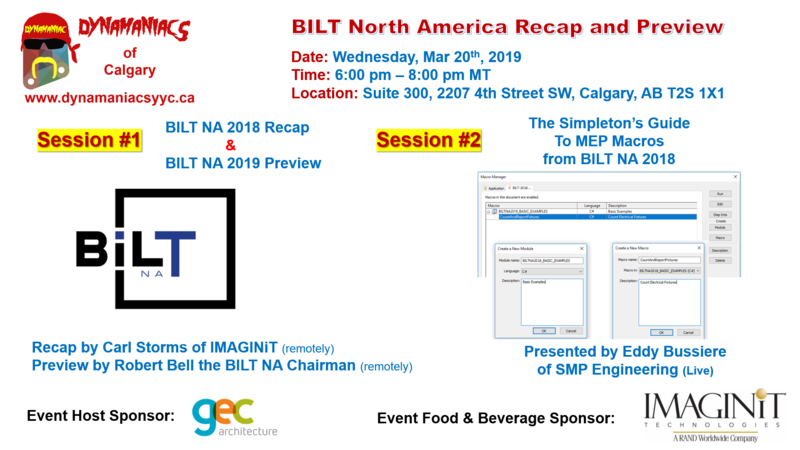 The idea for this event came from a session at this years BILT North America called – Code vs. Node: The Ultimate Revit Automation Smackdown! presented by Michael Kilkelly, who has been nice enough to let us deliver our version of his topic. Michael runs a great website called ArchSmater that you should check out if you like what you see, some of the things he overs include Macro’s, Dynamo, Revit Templates, and even has his own custom Revit add-ons.